This patch is a little better with better CPU management using certain modules. 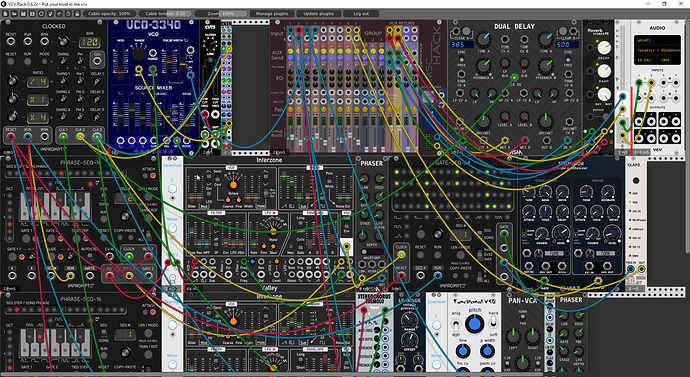 The Interzone module is fun to play with. I most definitely need to pair it with Lindenburg Module.